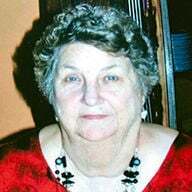 A native and lifelong resident of Glynn County, Ga., she was born Feb. 8, 1938, to the late Lymon Crews and the late Nellie Mae Johnson Crews. She was a floral designer at Havenwood Florist for 25 years. She was also a resident of Addington Place. Mrs. Bearden enjoyed flowers, gardening and reading. She also loved to travel on cruises and to the mountains. A visitation will be held from 6-8 p.m. Tuesday, April 2, 2019, at Edo Miller and Sons Funeral Home. A graveside service will be held at 11 a.m. Wednesday, April 3, 2019, at Evergreen Memorial Cemetery. In addition to her parents, Mrs. Bearden was preceded in death by her husband, Eugene Irvin Bearden; and her sister, Laverne Crews. She is survived by her two sons, Michael Bearden (Kimberly), of Brunswick, and Mark Bearden (Jamie), of St. Simons Island; daughter, Kimberly Bearden (Wayne), of Richmond Hill; four grandsons, John Jordan (Ashley)j of Jesup, Joey Jordan (Zaid), of Odom, Blake Bearden, of Brunswick, and Brett Bearden, of St. Simons Island; two granddaughters, Chrissy Hooks (Wes), of Richmond Hill, and Brooke Nix (Josh), of Statesboro; two great-grandsons, Hudson Hooks and Barrett Hooks, both of Richmond Hill; sister, Loretta Daniels, of Brunswick; and two brothers, Vernon Crews and Eddie Crews (Brenda), both of Brunswick.